Our Music program is a 4-week, dynamic course of instruction that allows campers to learn, play, move and shake. 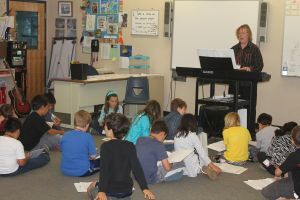 Campers not only learn choral singing, but also engage in musical activities and drumming, etc., in small classes to ensure individual opportunity. 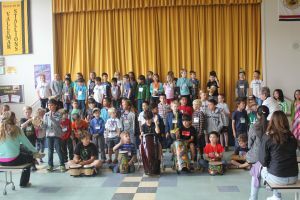 The math of musical notation and the literature of lyrics combine to create a wonderful experience as campers learn different styles from music around the world. The program culminates in a fun musical performance for the campers’ families and friends at the close of camp.